Do you have to avoid eating and drinking grapefruit while taking atorvastatin? 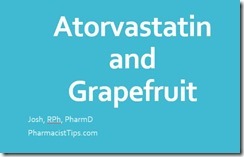 Does atorvastatin and grapefruit together increase side effects? The medication atorvastatin is used to treat or prevent cardiovascular disease. It is associated with the side effect of muscle and joint pain. Grapefruit consumption has been shown to increase levels of atorvastatin in the body. The increase caused by grapefruit consumption has not been shown to increase the risk of side effects. This study and this study have concluded that grapefruit can be consumed by patients taking atorvastatin. Some references allow for up to one quart of juice per day. However, it is still probably best to talk with your doctor if you’d like to consume grapefruit on a regular basis. Remember, side effects can happen with any medication. They can occur with this medication regardless of grapefruit consumption. 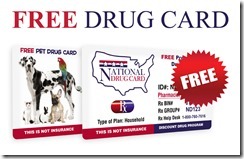 Please contact your healthcare provider if you feel you may be having side effects.